The release of Björk’s Vulnicura had fans debating whether they were satisfied in their expectations or completely surprised. The Björk of albums past hadn’t held anything back. Knowing that much, perhaps what was more shocking than the leak itself was what had to be said this time around. Capitalizing on her intelligent, not-so-borderline orchestral arrangements, Björk opens her ninth studio album on a dense bed of low strings, and begins her first verse contrastingly staccato. The track, “Stonemilker,” is thought-provoking — if not in the way Björk asks, “What is it that I have / that makes me feel your pain / like milking a stone / to get you to say it,” then absolutely thought-provoking in its ethereality. The fourth track, “Black Lake,” could be the most emotionally painful song on the album. Running over 10 minutes, plenty of room is allowed for the texture to develop and thicken while at times remaining respectfully bare and free of harmonic distractions. Björk exposes another motive of the album: her wounds, “[her] pulsating body / suffering being.” She wastes no time revealing herself at her most vulnerable and she never sacrifices honesty for simplicity. There are instances of palpable silence suspending the building complexity and, true to the arc of the album, Björk pulls it all back, internalizing it just before the potential event of release. It’s refreshing and contrary to what she did with “Pluto” (Homogenic) and “Human Behaviour” (Debut). However consumed and broken she felt, Björk defends: “I did it for love / honored my feelings,” (“Black Lake”). Layered instrumental harmonies become increasingly electric and aggressive in “Mouth Mantra” in the latter half of the album. “I was heard” is repeated as the background texture grows to a level that nearly overpowers Björk’s voice. There is a struggle for release, for the respect that she begs for in the opening “Stonemilker,” serving as a reminder of the motives that are present in the album. Heart-wrenching, Vulnicura could arguably be one of the most fluid, incorruptible concept albums Björk has released. The record is a perfect contrast to her previous records where complexity was invited and signature. With this record, Björk changed her mold to something that is so perfectly empty and simple; where there is a contrary freedom in exposure. 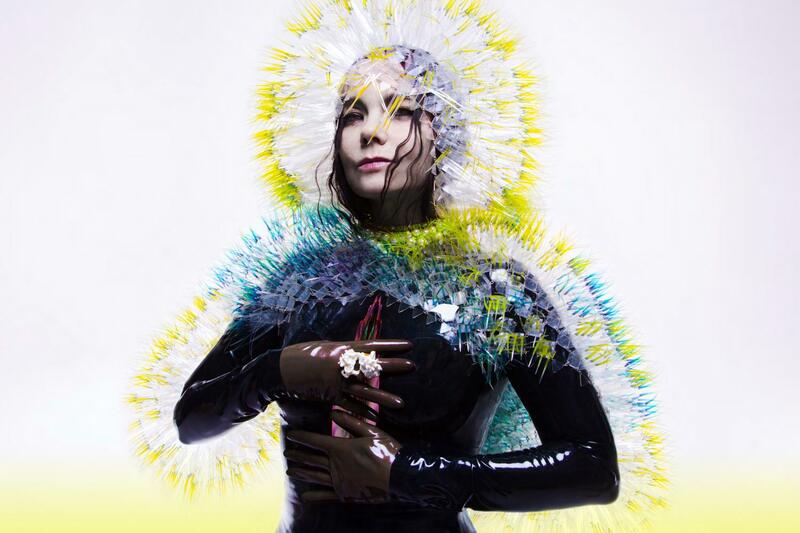 With this album, Björk continues to write with intensity and honesty. Vulnicura is Björk revisited, however broken and vulnerable, beautifully devastating.